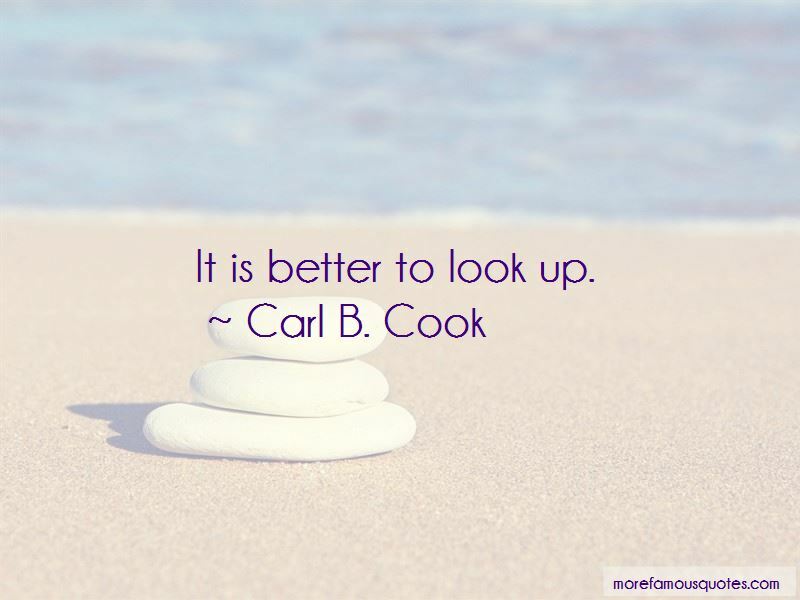 Enjoy the top 5 famous quotes, sayings and quotations by Carl B. Cook. 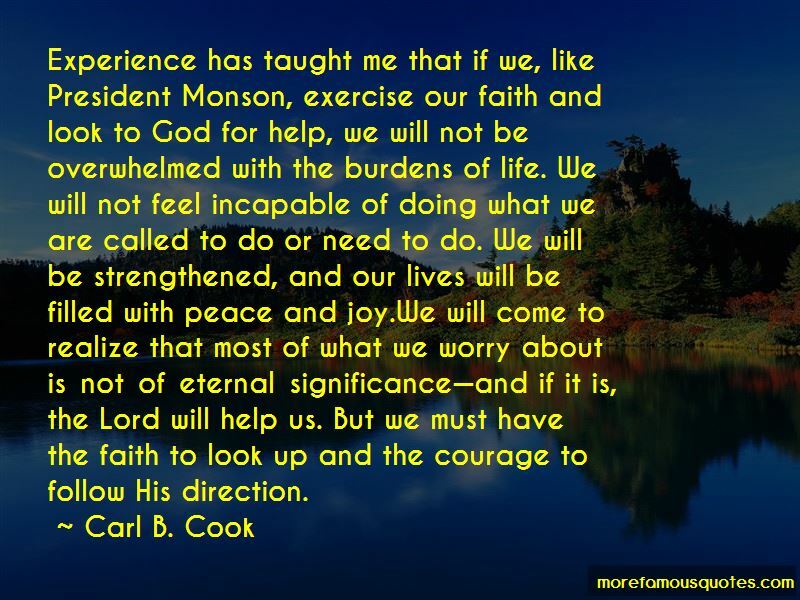 Experience has taught me that if we, like President Monson, exercise our faith and look to God for help, we will not be overwhelmed with the burdens of life. We will not feel incapable of doing what we are called to do or need to do. We will be strengthened, and our lives will be filled with peace and joy.We will come to realize that most of what we worry about is not of eternal significance-and if it is, the Lord will help us. But we must have the faith to look up and the courage to follow His direction. 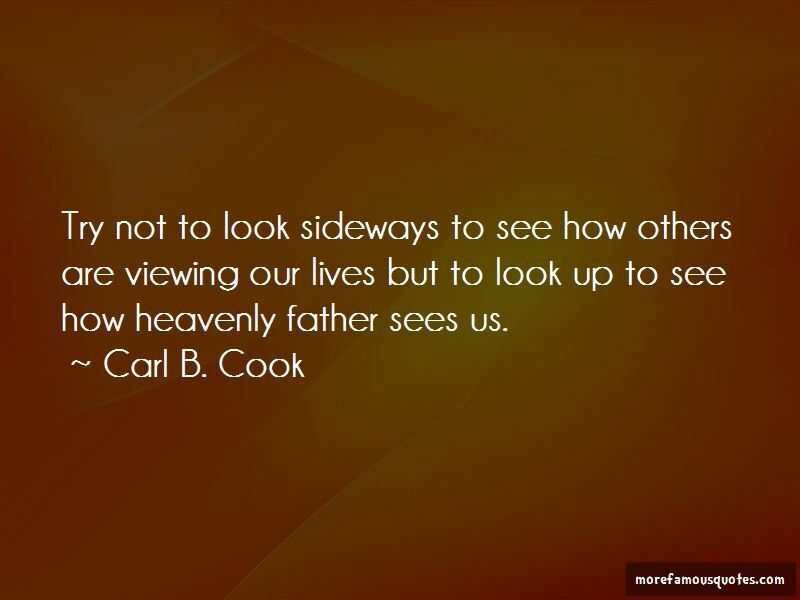 Want to see more pictures of Carl B. Cook quotes? 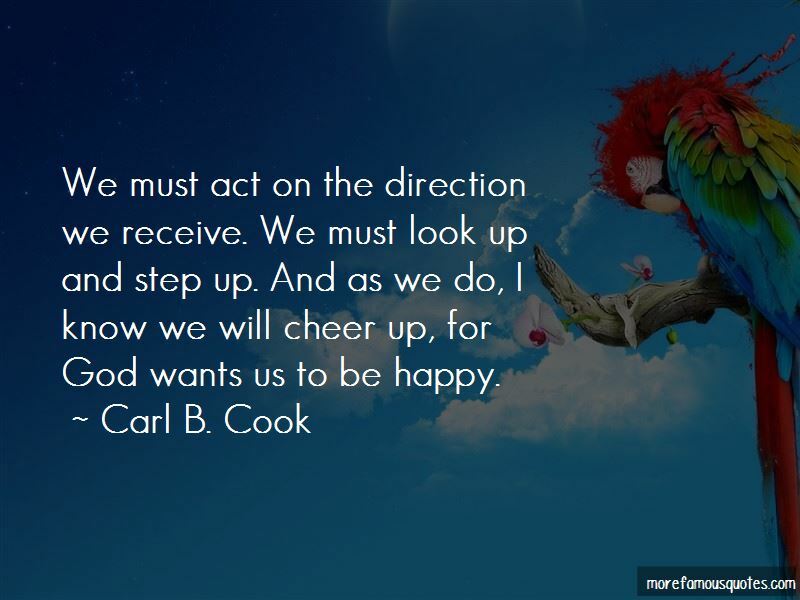 Click on image of Carl B. Cook quotes to view full size.